Do you know your Costa Brava from your Costa Blanca? Perhaps you’re a complete stranger to the many beautiful coasts that Spain has to offer. Or you might be a frequent visitor to your favourite tried-and-tested destination but you’re blissfully unaware of the joys of the others, just waiting for you to explore them. From the bustling Costa del Sol to the peaceful Costa de la Luz, there’s a Costa to suit you. Here’s our guide to Spain’s most visited stretches of coastline. Where is it? You’ll find this pretty, relatively low-key resort in south-west Tenerife, just up the coast from its busier neighbours Playa de las Americas and Los Cristianos. Fly into: Tenerife South, the larger of the island’s two airports and under 20km from the south-west coast resorts. Why visit? Costa Adeje has been developed in recent years with the buzzword ‘upmarket’ in mind. Modern hotels and stylish restaurants offering a range of world cuisine abound, flanked by a swathe of pretty golden beaches. 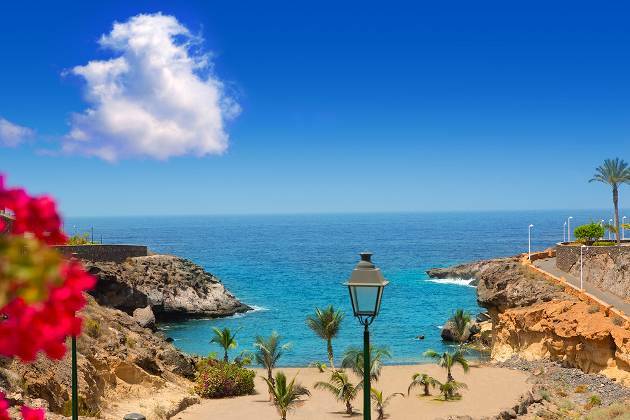 Costa Adeje offers a more peaceful, family-friendly retreat than you’d be in for further down the coast, though on the other hand the buzzing nightlife of Playa de las Americas is still within easy reach. Where to stay: Golf fans will be in their element in the fishing village of La Caleta, next door to a championship 27-hole golf course. One of the most popular areas is Playa Duque with its golden beach and chic promenade, though parents with young children may prefer staying near the calmer waters that lap the Playa Fanabe. Where is it? On Spain’s south coast, sandwiched between Malaga and Murcia. The coastline stretches for over 200km between Adra to the east and Pulpi to the west. Fly into: Almeria, where you can fly direct from several UK airports including Gatwick, Manchester and Birmingham. Why visit? The landscape on the Costa de Almeria is incredibly diverse, ranging from pretty whitewashed hotels and sandy beaches in the tourist resorts to the rugged cliffs and hidden coves of areas untouched by tourism. The clean air, verdant environment and secluded beaches really let you feel you’re getting back to nature, yet all the trappings of a typical Med holiday are never far from reach. Where to stay: The popular areas of Roquetas de Mar, Aguadulce and San Juan de los Terreros are where you’ll find the largest choice of accommodation and plenty of activities for the whole family. History buffs will love the city of Almeria with the Alcazaba castle offering stunning panoramic views over the metropolis, while the up-and-coming villages of Almerimar and Mojacar boast traditional eateries and quieter beaches than in the main hotspots. Where is it? The White Coast can be found on Spain’s south-east coast between Pilar de la Horadada to the south and up to Denia to the north. 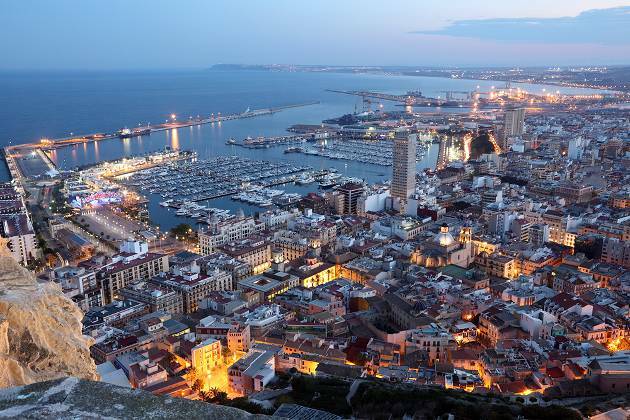 It includes the popular tourist destinations of Alicante and Benidorm. Fly into: Alicante for the central to north part of the coast, or Murcia if you’re heading further south. Why visit? 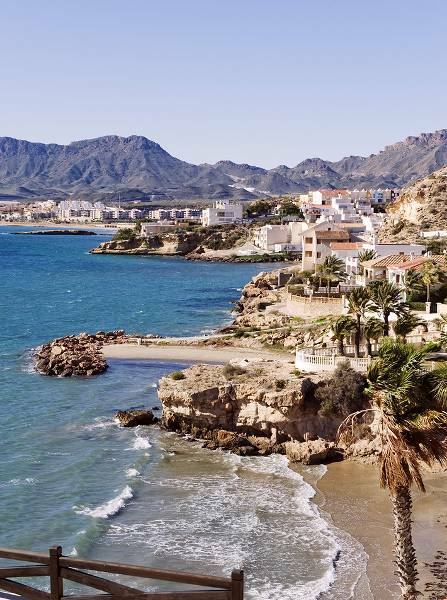 As Spanish Costas go, the Costa Blanca is one of the most popular, welcoming millions of visitors every year, and it’s easy to see why. Littering the coast are charming villages offering an authentic insight into Spanish life, interspersed with immaculate beaches, pretty coves and the odd golf course. Where to stay: If you prefer staying in the heart of the action with easy access to buzzing nightlife, Benidorm is your best bet. For a calmer getaway, try the village of Villajoyosa with its picturesque old town. Denia and Javea lie on either side of the El Montgo National Park and are ever popular with outdoor enthusiasts. Where is it? It stretches along Spain’s north-east coast from Blanes, 60km north of Barcelona, to the French border. Fly into: Girona-Costa Brava, the closest airport, or Barcelona which is a little south of the Costa Brava. Why visit? Forget whatever you may have heard about the Costa Brava; it’s determinedly moving away from mass tourism and towards a fresh image of independent restaurants offering traditional local fare, pretty wooded coves and scenic stretches of rolling coastline flanked by crystal-clear water. True, you still won’t be hard pushed to find a pie and a pint if that’s your bag, but there’s far more to the Costa Brava than that. 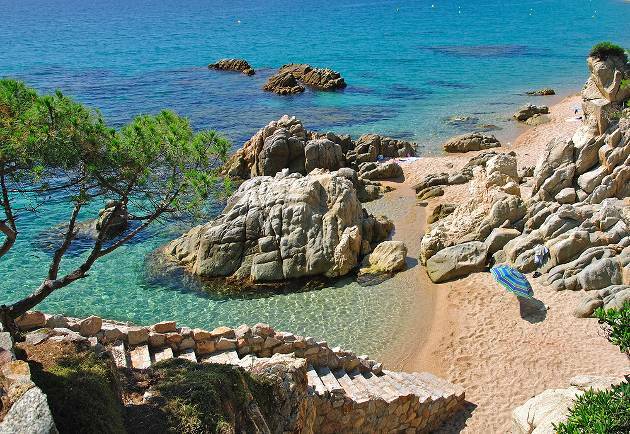 Where to stay: Thanks to its two Blue Flag beaches, Tossa de Mar is the most popular resort on the coast, but Lloret de Mar is a close second. Calella de la Costa is a great place for spending your days sun-worshipping then dancing the night away, while families can’t go wrong by staying anywhere near the PortAventura water park. Where is it? The Golden Coast runs from Cunit to Alcanar on the northern Mediterranean coast in the province of Tarragona. The nearest major cities are Barcelona to the north and Valencia to the south. Fly into: Reus will be most convenient, though Barcelona is also an option if you’re visiting the northern end. Why visit? As you might expect from the name, the Costa Dorada is known for its seemingly endless stretches of golden sandy shores; markedly different to its more rugged neighbour, the Costa Brava. Set back from these stunning beaches you’ll find manicured villages, historic towns and cities with castles and Roman ruins to explore, plus no end of family-run restaurants offering delicious Catalan cuisine. 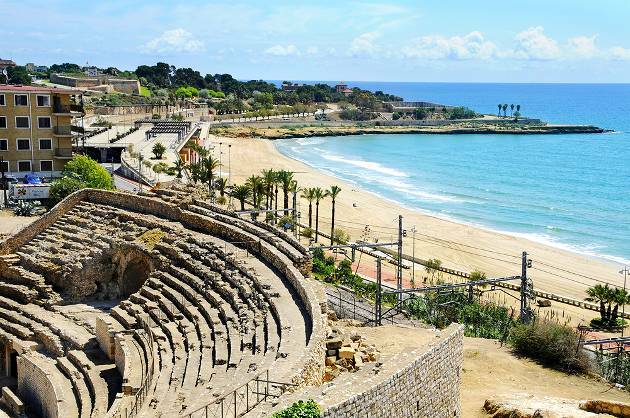 Where to stay: The busiest, most popular destinations are Salou and Tarragona, while the smaller villages of Callafel and Cambrils will offer a quieter, family-friendly break where you may also find a cheaper deal. Further inland, the historic towns of Reus, Montblanc, and Tortosa boast plenty of medieval architecture to admire. Where is it? On the Andalusian coast where the Mediterranean meets the Atlantic, extending from the Portuguese border to Tarifa, Spain’s southernmost point just across the water from Morocco. Fly into: Jerez, nearer the coast, or Seville, further inland. You can fly direct to both from Stansted and Gatwick. Why visit? This gem of a coastline is popular with Spanish families and little known among British tourists, so if you’re after an authentic Iberian getaway, the Costa de la Luz is the place for you. Similar to much of the Spanish coast, summers are scorching and spring and autumn sunny and balmy. You can enjoy this climate on one of the host of beaches against a backdrop of pine trees with not a high-rise hotel in sight. Where to stay: This area is often divided into two main provinces: Huelva, on the side nearest to Portugal, and Cadiz on the other. Huelva is less scenically dramatic as its neighbour but boasts long, unspoilt sandy beaches and several protected coastal reserves. 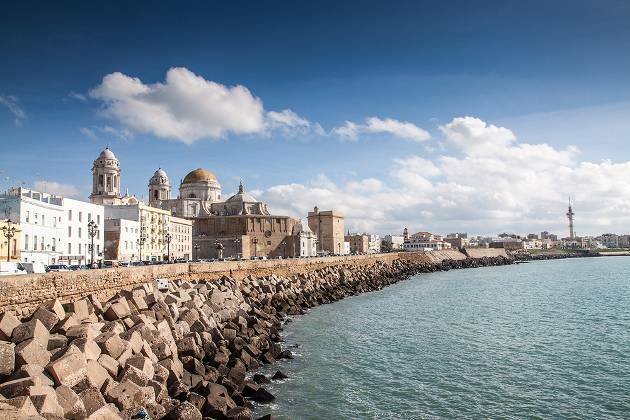 In Cadiz the beaches are far more windswept and great for watersports. Where is it? 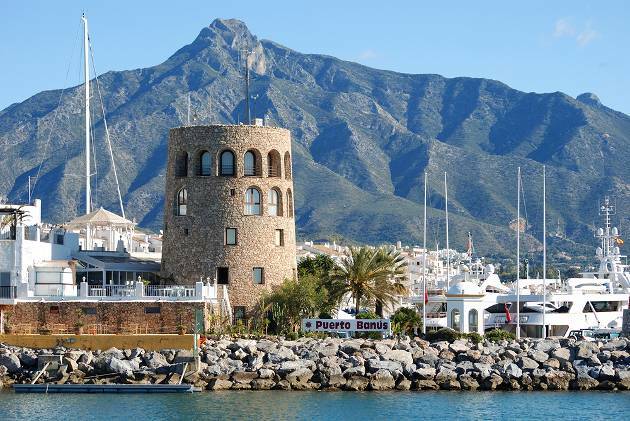 It stretches for over 150km of the Andalusian coastline, including some of Spain’s most visited tourist resorts such as Fuengirola, Torremolinos and the celeb-magnets of Marbella and Puerto Banus. Why visit? The Costa del Sol was little more than a series of quiet fishing villages until the latter half of the twentieth century when tourism just exploded. Nowadays, visitors in their millions are drawn by the beautiful Mediterranean climate and the stunning sandy beaches, together with familiar home comforts like pubs and vast shopping complexes. Golf is also a major attraction – there are more than 50 courses in Malaga province alone! Where to stay: It really depends on what you’re after! Ritzy, glitzy Marbella and Puerto Banus are normally crammed with Brits enjoying cocktails in the many bars and clubs, while the major resorts of Benalmadena and Torremolinos are similarly packed with British tourists and expats. The historic city of Malaga will delight those looking to pound the winding, cobbled streets, while the villages of Mijas and Casares are great for a more laid-back getaway. Where is it? 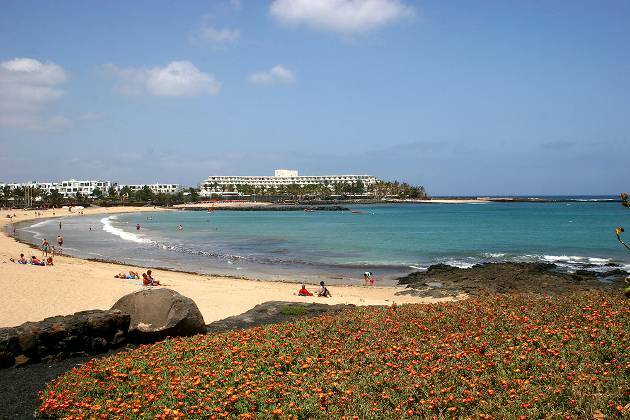 In the centre of Lanzarote’s long south-east coast, just east of the capital city, Arrecife. Fly into: Lanzarote’s only airport, located in Arrecife, just 15km from the Costa Teguise. Why visit? Though it’s the second largest tourist hotspot on the island after Puerto del Carmen, the Costa Teguise is known for its tranquility, making it very popular with families. Golf courses, a water park and a windsurfing school are just some of the amenities available. It also has a more traditional side, in the form of the Pueblo Marinero, a pretty fishing village with a wide range of restaurants and galleries showcasing local art. Where to stay: There’s a huge choice of accommodation throughout to suit every taste and budget, from sprawling hotel complexes to self-catering apartments. Visitors to Cucharas Beach will be drawn by the watersports on offer, while Bastian Beach suits families with small children as it’s easily accessible and protected from the wind. Which is your favourite Spanish Costa? Let us know in the comment box!